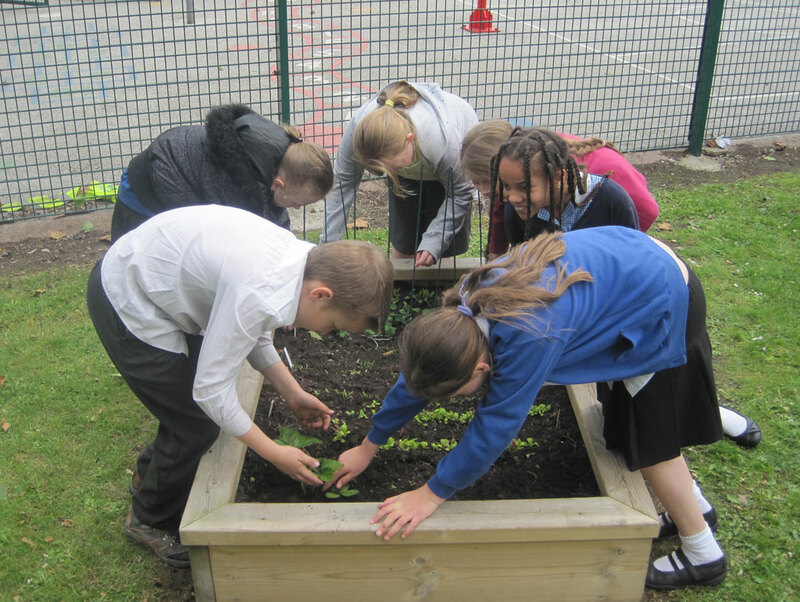 Always rooted in real and concrete science and taking their lead from the Curriculum - but taking approaches from the world of the arts - our Science workshops for primary schools across the UK, provide an excellent way of engaging students with science and supporting them in understanding the world (and worlds) around them. View our science workshops for secondary schools here. Delivered by practitioners who are passionate about science, these exciting programmes use drama-based approaches to cement existing learning, clarify difficult concepts, challenge thinking and introduce new content. We know how complex delivering whole-school approaches to science can be, so you can now book a Big Science Day for a number of year groups, comprising either different workshops exploring a number of topics - or a range of age-differentiated activities on a single scientific theme! Assemblies are a great way, of course, of both generating a buzz around school and sowing the seeds for a shared experience. So while our Big Science Days come complete with their own assemblies, we're happy to lead interactive and entertaining whole-school assemblies at the start of a day of any of our science programmes - and all at no extra cost! You can choose from Speedy Light ... Life on Mars? ... Feeling the Force ... and Missing Links - and all at no extra cost! Creating a “buzz” about Science Investigation – through drama! What skills does a Science Investigator need – and how can the natural world help us identify and understand them? 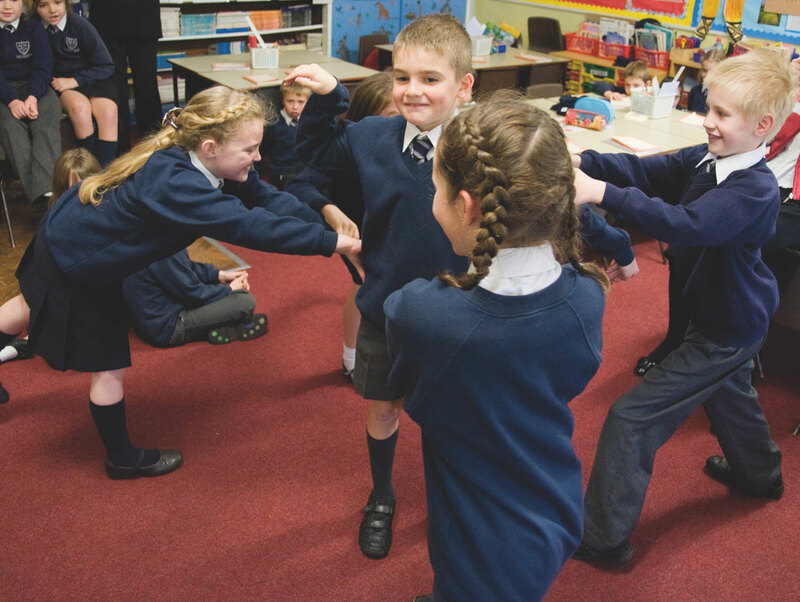 This quick-fired workshop, suitable for up to 60 children at a time, answers these questions through a high energy drama activity that incorporates both team working and problem-solving too. And longer workshops can also include a game designed to cement key content from topics classes are currently exploring! 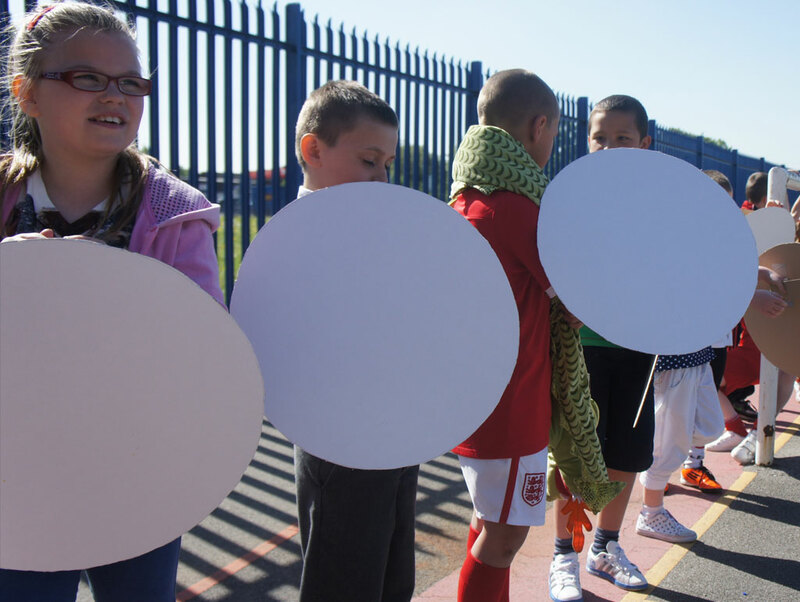 Whole-school celebrations of Science can be challenging if different year groups are all exploring different areas of the curriculum - which is where our Big Science Days can help! We’ll start the day with a whole-school assembly exploring the wonder, importance and relevance of science - then deliver workshops for each year group, using drama techniques to bring key areas of their scientific investigations to life. And as each workshop can accommodate up to 60 children, a Big Science Day can cater for up to 420 pupils! How can Science Investigation save lives? Learning from the past! Which great Science Investigators of the past capitalised on “happy accidents” to create amazing science? You’d be surprised how many there are, resulting in inventions that have fed the world, made life easier – and saved millions of lives! This busy and engaging workshop introduces children to some of these, from Post-its to penicillin to pacemakers, then supports them as they make connections to imagine and market some amazing new inventions of their own. 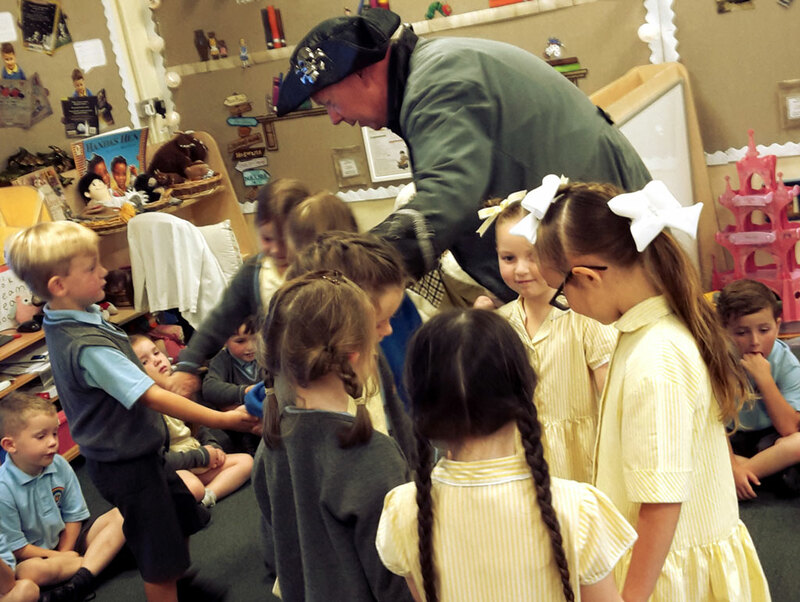 Putting Science in context – with a real live pirate in school! Blackbeard, Bartholemew Roberts, Anne Bonney and their ilk were undoubtedly skullduggerous scoundrels – but they also had to be sophisticated Science Investigators as they steered their way through the seven seas. But while our own travelling pirate, Captain Richard Morgan, has a strong grasp of science theory and fact, he’s less certain when it comes to the practicalities! So he’ll arrive in your school needing some grounding exploring such areas as floatation, forces, the use of Pirate Materials, navigation, nutrition and Pirate Science. Looking at ways that Science Investigators have helped humankind fulfill its dream of taking to the skies! Discover how Science Investigators helped humankind left the earth’s surface for the skies and then space – and ultimately the stars – in this thrilling and action-packed drama-based workshop. Starting with the Icarus myth, pupils will explore, learn about and teach each other some of the scientific and technological landmarks in The Story of Flight, including Leonardo’s musings on helicopters, the Montgolfier brothers’ experiments with balloons, Orville and Wilbur Wright’s development of the aeroplane, Frank Whittle’s work on the jet engine and Neil Armstrong’s first steps on the moon. Suitable For: up to 30 students at a time. Duration: 1½ - 2½ hours, depending on how many classes. Suitable For: up to 30 children at a time. Navigating the stars – a beginner’s guide to black holes and supernova! Our travelling pirate, Captain Richard Morgan, has a new ship – but the Solar Surfer sails through the stars, not the seas! And as the Solar Surfer is powered by solar waves, of course, it’s vital that the Captain understands the differences between Red Giants, White Dwarves and Black Holes. But that’s the problem: he doesn’t. So he’ll arrive at your school in search of help. After working in small groups on an age-differentiated independent carousel of activities, pupils will have all the information they need to solve his problems for him. And they’ll do that by performing dramatic representations of a range of different possible life cycles for stars – and alerting the Captain as to exactly what he needs to look out for! Duration: 45 minutes - 2 hours, depending on the number of classes. It was in July 1969 that Neil Armstrong stepped onto the lunar landscape and uttered the famous words, "That's one small step for man, one giant leap for mankind." Since then, only another eleven astronauts have walked on the moon - and none since 1972. This unique programme, though, gives your pupils an opportunity to meet and work with one of the people behind Apollo 11 - Margaret Hamilton (who led the team designing the mission's software) or Astronaut Armstrong himself. Your Tourist will be more than happy to meet the school at an assembly - then visit a number of classes during the day in workshops using drama techniques to bring to life the Apollo 11 adventure, and her/his role in its success. Exploring (according to age): preparations for the mission; history, characteristics and composition of the moon; the Apollo 11 astronauts; the role of the moon in future space exploration. Where did the moon come from – and how has it impacted on our history? From its phases to its place in North American mythology and from the Apollo programmes to its potential to provide a launch pad to Mars and beyond, our only natural satellite has always exerted a pull on humanity. So this busy and interactive workshop sees pupils learning about a range of aspects of this celestial neighbour – including its creation, its make-up, its effects on our tides, its role in eclipses and its hold on culture. How do different forces operate – and what do they actually do? And we now have two new variants on this popular workshop, exploring how forces operate in two specific contexts: CSI: Rollercoaster and CSI: MoonShot! Exploring: gravity, friction, upthrust, centrifugalism, centripetalism, magnestism. An active investigation of the science of sound – with acoustic high jinks! 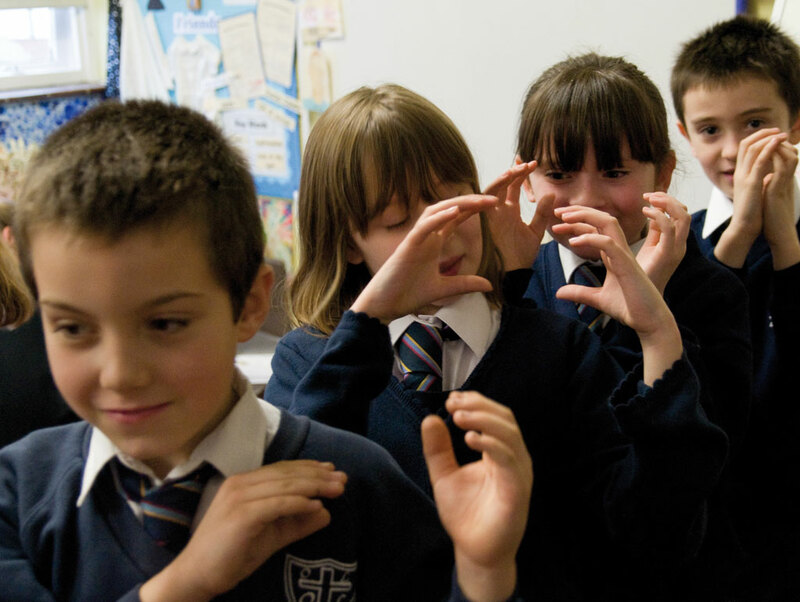 Specifically developed to support the new National Curriculum, this highly active drama-based workshop uncovers how we – and other living things – make sense of sound. After exploring the nature of soundwaves and how they behave in different situations and how they can help us make sense of the world, children will teach each other incredible, new acoustic facts in such exciting improvisations as “Escape from the Volcano”, “Terror from the Skies” and “Submarine Shocker”! Exploring: soundwaves, acoustic resistance, echo location, the Doppler Effect. After exploring both the differences and connections between rocks, soils and fossils and handling objects from millions of years ago, pupils will take on the roles of ardent palaeontologists who find themselves in a tricky situation as they investigate the contents of an ancient river bed. Armed with word banks of key vocabulary and some simple props, they’ll work in small groups to plan, prepare and perform short plays that build on the challenges faced by Fossil Hunters! What connects science, maths, engineering space – and sport? Geodesity, of course! 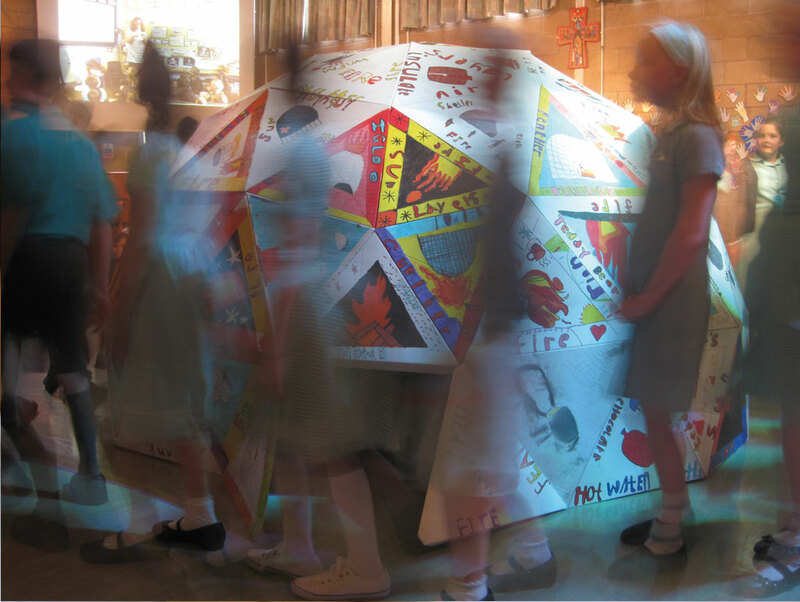 And our Geodesic Dome programmes offer students fantastic opportunities to cement their understanding of specific curriculum areas – and to celebrate and share their learning in a unique, eye-catching and inspiring way. After recalling their learning in a creative manner, students will work to a template in using it to illustrate the 105 triangular panels that make up our Geodesic Domes. They'll then be guided through a process that allows them to fit the triangles together to make hexagons and pentagons – and then to piece these together to construct the 2m high dome. Exploring (in addition to your curriculum area): chemical structures, engineering forces, properties of 2D shapes. After a whole-group activity exploring the achievements and impacts of such British luminati as Isaac Newton (physics), Joseph Priestley (chemistry), Rosalind Franklin (biology) and Colin Pillinger (engineering), students work in small teams to plan, prepare, present and peer review persuasive “television” adverts promoting the work of each of these. This workshop can cater for up to 30 students at a time – and requires a minimum of an hour (although the longer we have, the more depth we can go into, of course). Exploring: science in context; areas including gravity, power, states of matter, DNA, engineering, space exploration. Most of us take Darwin's ideas of natural selection, and the theory that all life is in a constant state of change, for granted - though they caused a right old rumpus back in 1859! This workshop uses drama techniques to introduce pupils to two different theories of evolution - then challenges them to design their own creatures, able to thrive in some changing environments. They'll then produce short "documentaries" introducing the world to their newly-discovered animals - and support each other through peer evaluation. Suitable for: up to 30 pupils at a time. Duration: 1 1/2 - 2 1/2 hours. Most scientists agree that climate change is one of the biggest threats facing the planet. But how many of us understand the role played in the process by the carbon cycle - a cycle that's increasingly out of balance as we continue to produce more carbon dioxide than we can absorb? This intriguing workshop physicalises the stages and mechanics of the cycle - and asks pupils to consider (and dramatise) how the world might change if humanity doesn't mend its ways! Exploring: chemical structures; deforestation; climate change. What do we know about Neptune? What’s the science of Saturn? And how is our understanding of Uranus? After a warm-up activity exploring some of the characteristics of a range of inhabitants of the universe (including stars and comets as well as planets and black holes), and armed with our beautifully illustrated FactFiles, pupils will mix metaphors, similes and astronomy as they create - and perform - their own Cosmic Clerihews! These are fun but descriptive four-line poems – and so perfectly suited for the descriptive rigour demanded by science. You can view all of our poetry workshops here. Suitable For: KS1 – KS4 / P1 - P7. Exploring: characteristics of planets, stars, comets and black holes; authorial voice, rhythm, tone and pace. Duration: Suitable for up to 30 pupils at a time, Messages from Space lasts from 1 to 2 hours, depending on how many classes we’re working with. Interested in our Science Workshops? Delivered by practitioners who are passionate about science, these exciting programmes provide an amazing way of promoting science, cementing pupils’ subject knowledge, explaining difficult concepts and introducing new content.